tations and satellite sessions will provide an exciting mix of experiences that will be put at disposal for all attendees that devote their work to people with scleroderma. The WSF is the host and organizing body of the World Scleroderma Congress, which takes place every second year in differing locations. The first 5 congresses in Florence 2010, Madrid 2012, Rome 2014, Lisbon 2016 and Bordeaux 2018 were a significant successes. These congresses have contributed to the knowledge about scleroderma all over the world. Colleagues from different specialties, junior trainees, health professionals and patients have gathered together and they have profited by challenging programmes including clinical experience, interactive sessions and basic science. Along with the medical component of the congress, the patient program has grown with increasing attendance and extended lectures subjects. 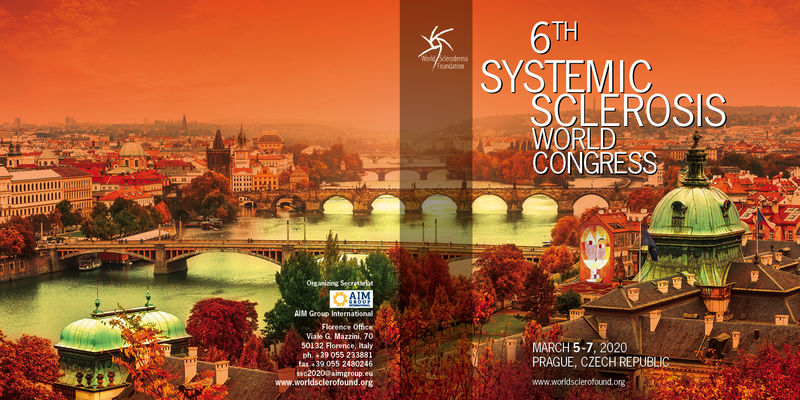 We believe that the 6th World Scleroderma Congress will provide an exciting and up to date scientific programme. The combination of hands-on workshops, lectures, oral presentations and satellite sessions will provide an eclectic mix of experiences that will be put at disposal for all attendees. We welcome you to join us in Prague in 2020 for a stimulating experience in the world of scleroderma. The first 4 congresses in Florence 2010, Madrid 2012, Rome 2014 and Lisbon 2016 were significant successes. These congresses have contributed to the knowledge about scleroderma all over the world. Colleagues from different specialties, junior trainees, health professionals and patients have gathered together and they have profited by challenging programmes including clinical experience, interactive sessions and basic science. Along with the medical component of the congress, the patient program has grown with increasing attendance and extended lectures subjects. We believe that the 5th World Scleroderma Congress will provide an exciting and up to date scientific programme. The combination of hands-on workshops, lectures, oral presentations and satellite sessions will provide an eclectic mix of experiences that will be put at disposal for all attendees. 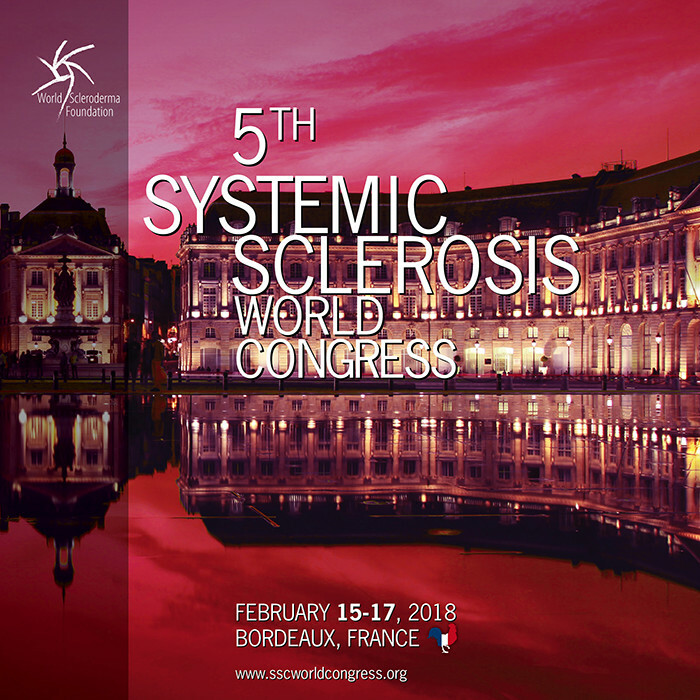 We welcome you to join us in Bordeaux in 2018 for a stimulating experience in the world of scleroderma. This 4th World Scleroderma Congress combined the best experience from the previous congresses, emphasizing clinically relevant developments in the field with a focus on aspects of care to improve the quality of life for patients with scleroderma worldwide. The combination of hands-on workshops, lectures, oral presentations, and sponsored sessions will provided an exciting mix of experiences that was put at disposal for all attendees. This third World Scleroderma Congress combined the best features of the previous two congresses, emphasizing clinically relevant developments in the field with a focus on aspects of care to improve the quality of life for patients with scleroderma worldwide. The combination of formal lectures, small seminars and interactive hands – on workshops ensured a valuable experience for all involved with scleroderma. 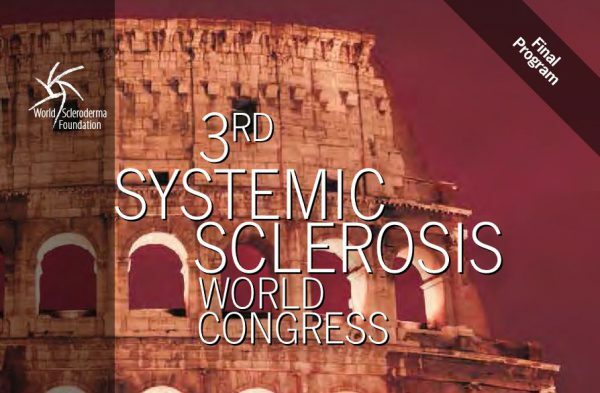 Following the successful experience of the 1st World Congress in Florence, the second congress focused on clinical and translational aspects of systemic sclerosis with the aim of updating clinicians involved in the field. Based on the feedback from the participants in the 1st congress, more time was devoted to areas such as clinical problem solving, young investigator activities and networking between health professionals and patients. 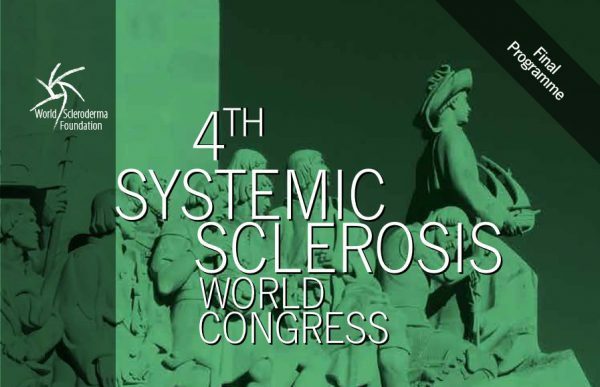 The congress aims to foster outstanding research into the cause(s) and understanding of systemic sclerosis and to increase clinical care and awareness of scleroderma, worldwide. Between February 11-14th 2010, the first World Scleroderma Congress took place in Florence Italy under the auspices of the recently formed, Swiss – based World Scleroderma Association (w-s-a.net). 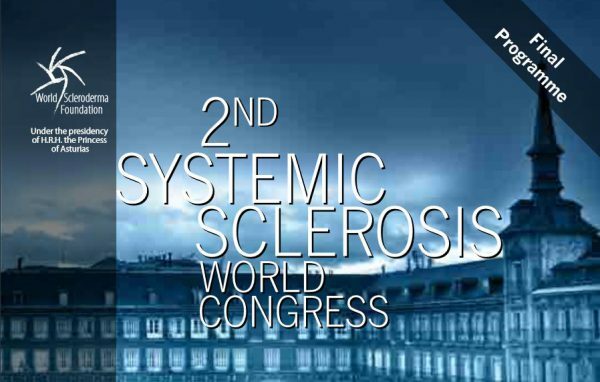 The program included an intense program consisting of 34 didactic presentations from world experts, interactive workshops and case presentations covering all aspects of systemic sclerosis, with a focus on translational and clinical medicine. In addition, a patient-oriented teaching day and six industry-supported symposia were included. Planning included both health professionals and patients. The resulting program was both broad and new. Innovative aspects such as a mentoring program for young investigators added texture to the congress. Support for this next generation of scientists and physicians was also evident by the 42 oral abstract presentations and 362 selected posters. The anticipated attendance of 500 expanded to the enthusiastic attendance of 1500 physicians, scientists, patient groups and industry from 61 countries. Only space limited even greater attendance. Patients were represented by 129 members of the Federation of European Scleroderma Associations (FESCA), and even some patients from the Scleroderma Foundation of America. The congress was officially opened in the Palazzo Vecchio by Alexander Klee, patron of the World Scleroderma Foundation (WSF), after a series of talks by local dignitaries and also , very movingly, by a patient who shared her difficult experiences dealing with this disease. Alexander Klee, also an artist, is the grandson of Paul Klee, a resident of Switzerland who succumbed to this terrible disease in 1940, aged 60, his later paintings and drawings graphically portraying his suffering. The WSF had its inaugural dinner on the evening of Wednesday February 10th in the beautiful Bellini Gallery in Florence, strengthening the theme of scleroderma and art. – U. Walker. Causes of death in Systemic Sclerosis- a report from the Eustar data base. – Q + A session – Panel discussion.